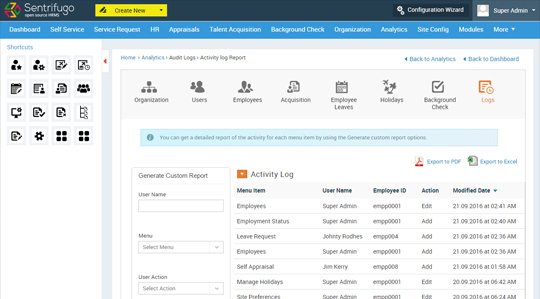 Customize and manage Sentrifugo's full-featured, flexible solutions to meet your organization's needs. 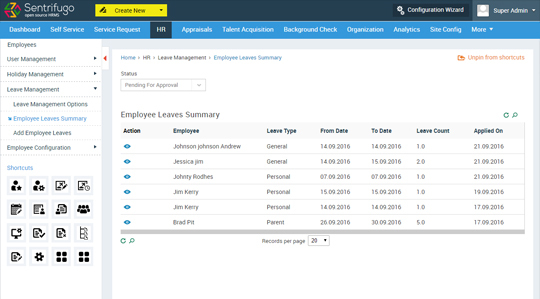 Track and manage each employee's available time-off and vacation dates, and also define the prerequisites for adding an employee. 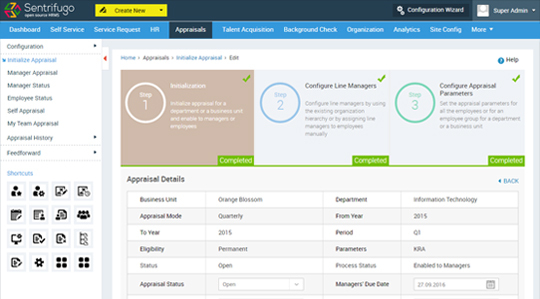 A fully-equipped performance appraisal module allows managers to assess employees' performance over a specific period of time and empowers organizations to build their own appraisal process. 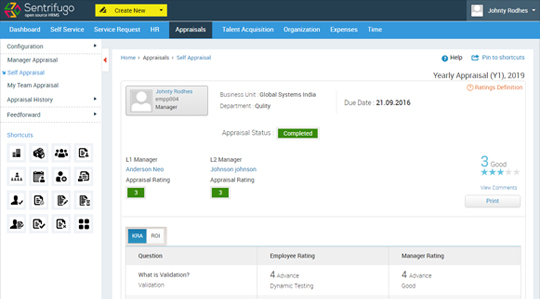 Allows employees to provide self-appraisal ratings and comments. 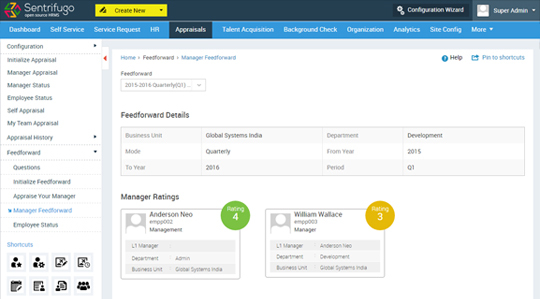 Also, enables managers to provide employee performance feedback and offer suggestions. 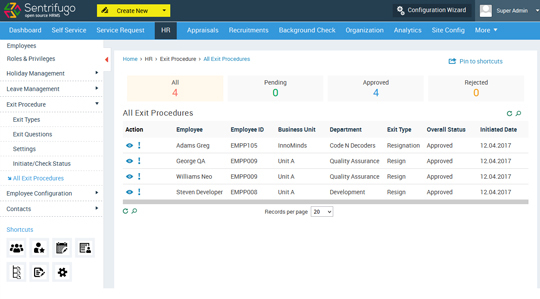 Put an end to time-consuming administration and paperwork by allowing employees to access and modify information related to them. 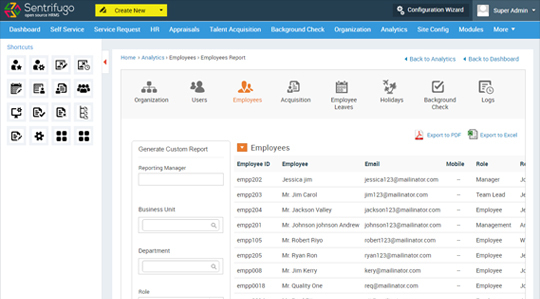 Maximize your organization’s performance. 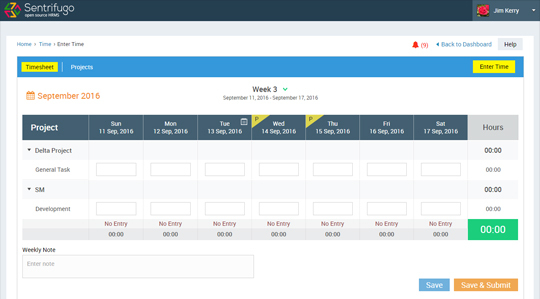 Efficiently manage and accurately track time-off details. 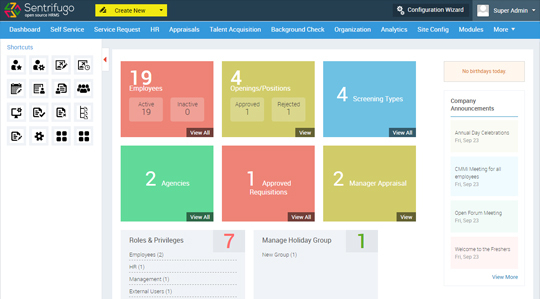 Schedule meetings and events based on the availability of teammates. 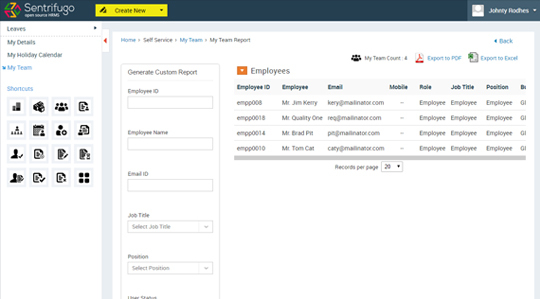 Empower managers with the ability to view, modify team member details, and customize& generate reports. 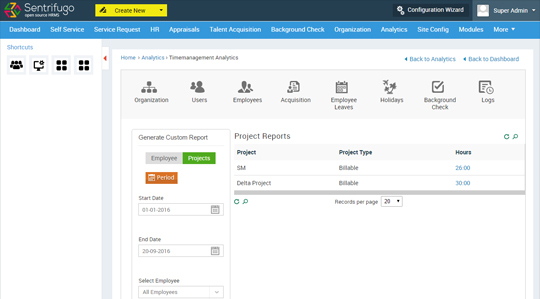 Define long & short term goals, and set the course for your organization using comprehensive analytics with a broad range of features. 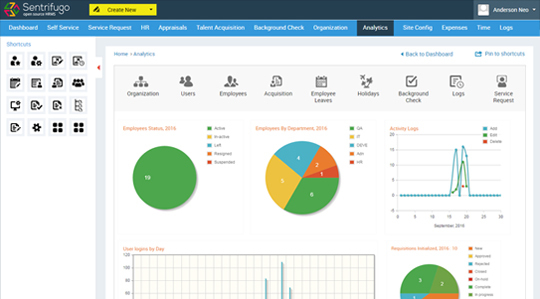 User activity, attrition rates, employees by department, and other essential reports are included with the system. 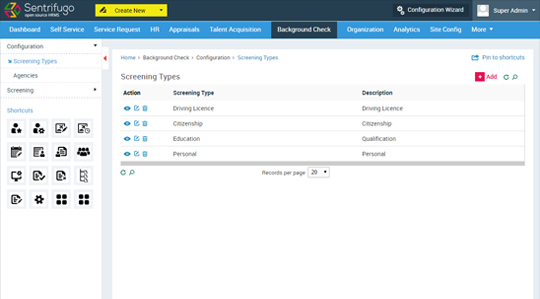 Generate custom reports with the ability to view and/or export to Excel or PDF. 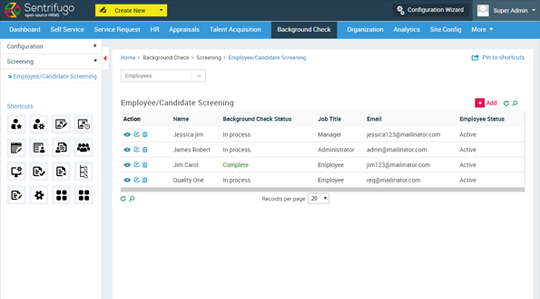 Perform comprehensive job candidate background checks. 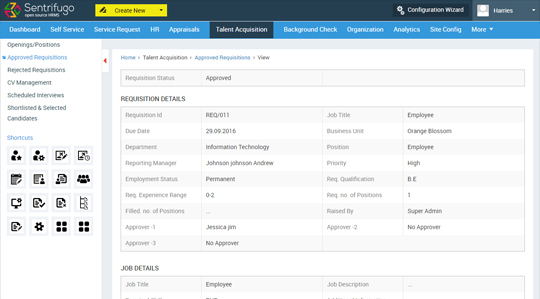 Compilation of prior history, along with accuracy checks, ensures the job candidates have provided genuine information. 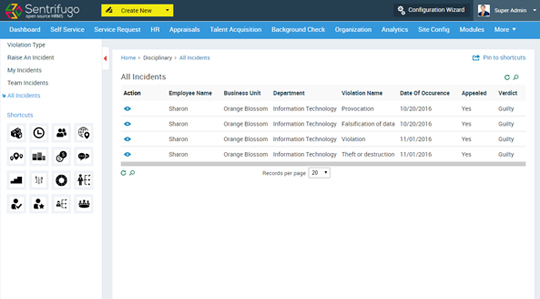 Assign agencies to perform background checks, and track their progress. 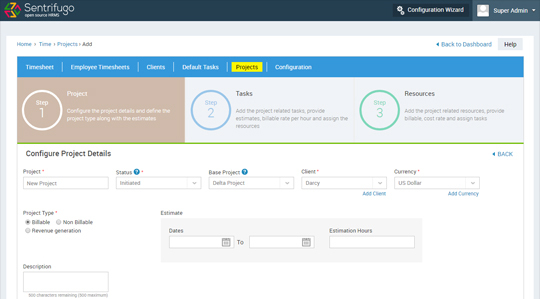 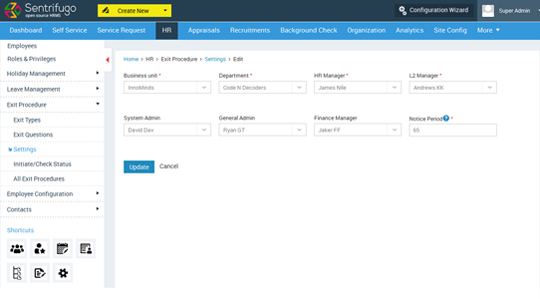 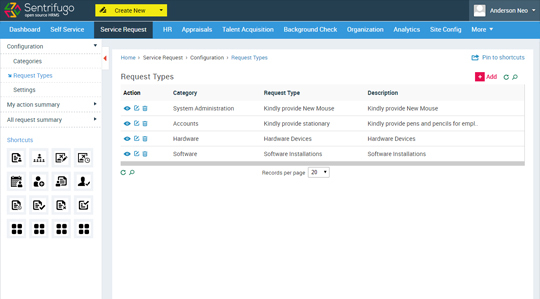 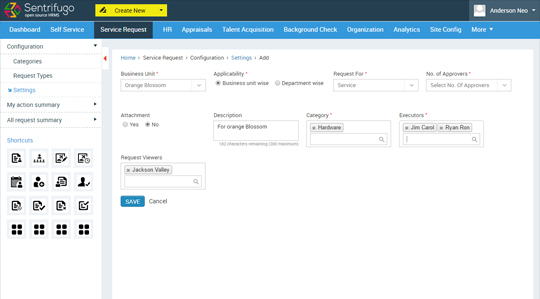 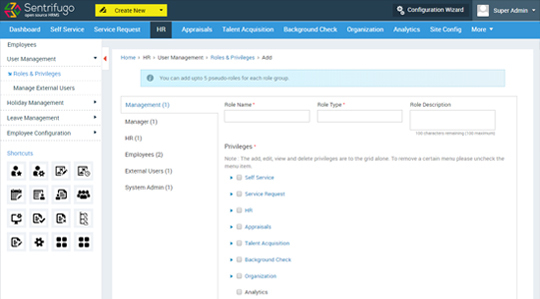 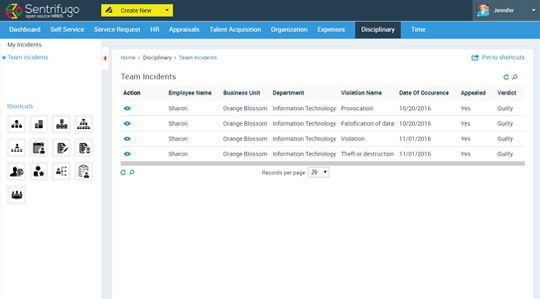 Manage and configure service request settings and allows employees to submit requests or report incidents. 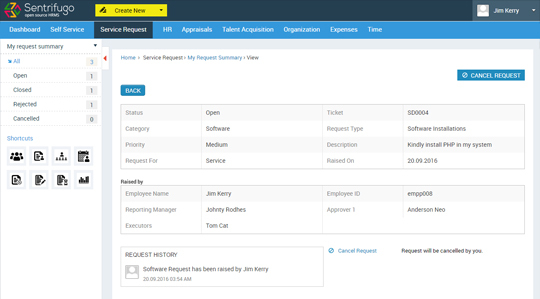 Define request categories and types, and assign executors and approvers at multiple levels. 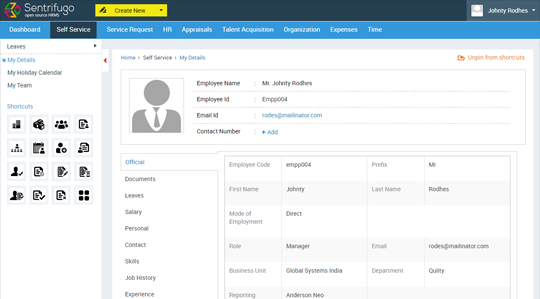 Allows employees to raise a request and view its status. 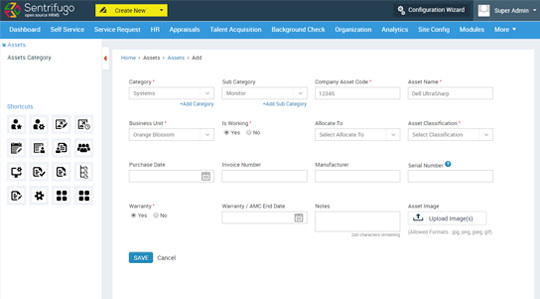 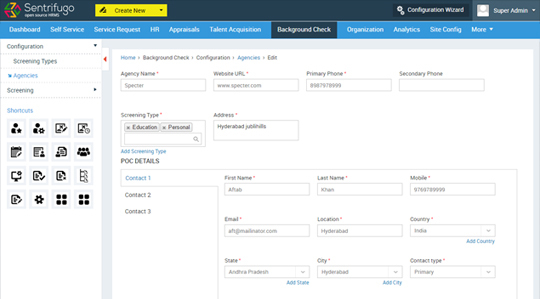 This cluster features a full-cycle resource requisition process, capable of both creating resource requisitions and obtaining requisition approval from multiple levels. 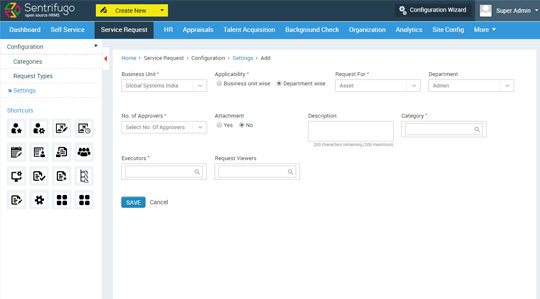 Monitor and maintain the requisition process, starting with request initialization, all the way to candidate CV management and everything in between. 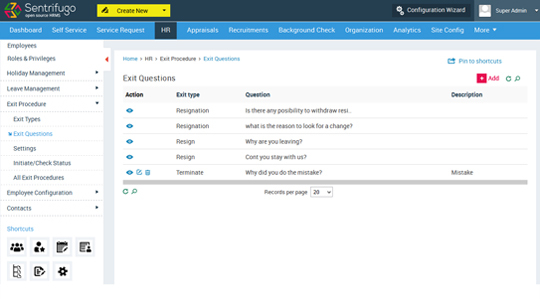 This module includes: scheduling interviews, shortlisting and selecting a candidate. 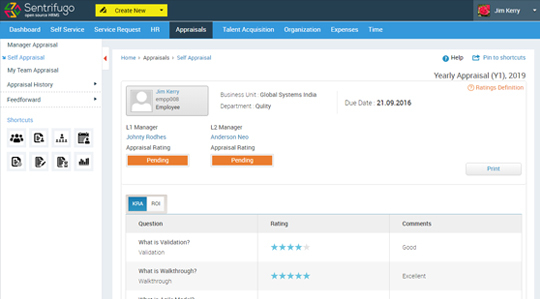 Keep track of interview rounds, along with accompanying feedback and shortlist candidates. 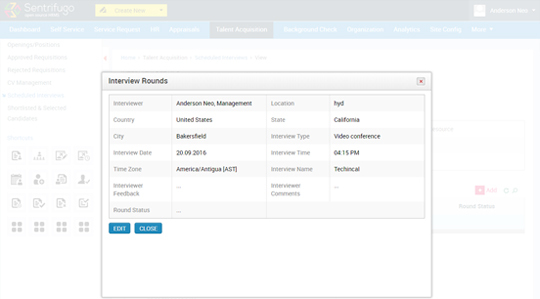 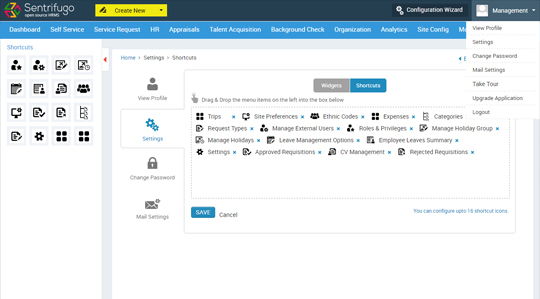 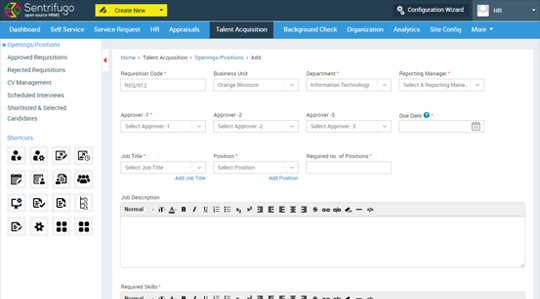 Before scheduling an interview, the user will be able to view comments of each interviewer in previous rounds. 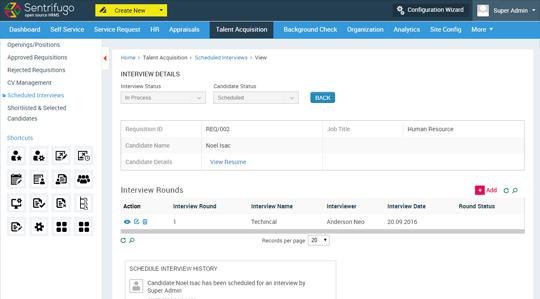 Schedule interviews based on the interviewer's availability. 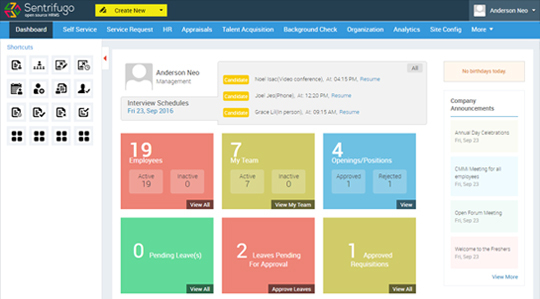 Receive interview schedule alerts on your custom dashboard. 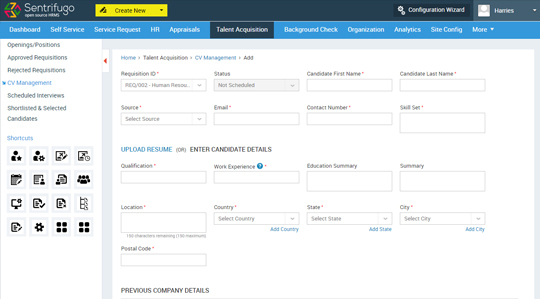 Schedule next level interviews for selected candidates. 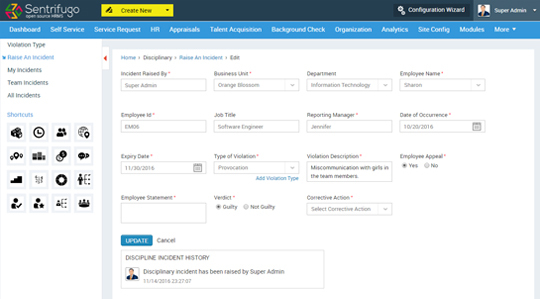 Formulate questions to evaluate managers' performance and optimize productivity. 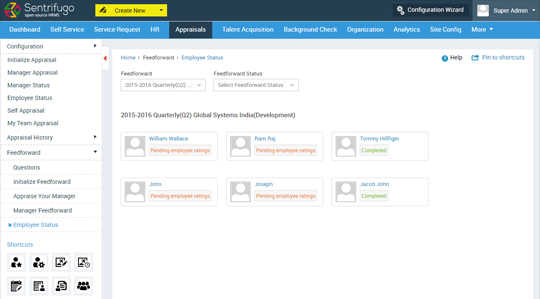 Empower employees to appraise their managers' overall performance. 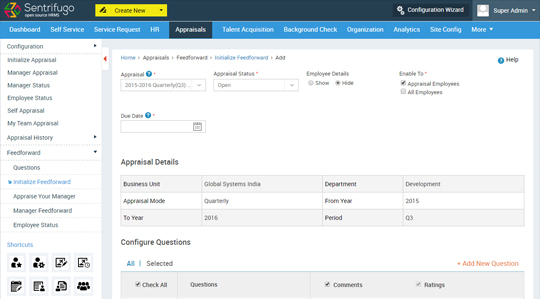 View managers' overall rating and appraisal, by question or by employee. 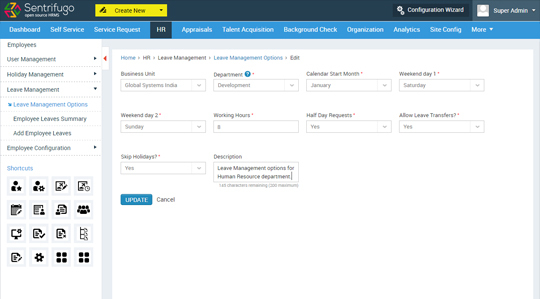 Define time-off options for a department or an entire business unit. 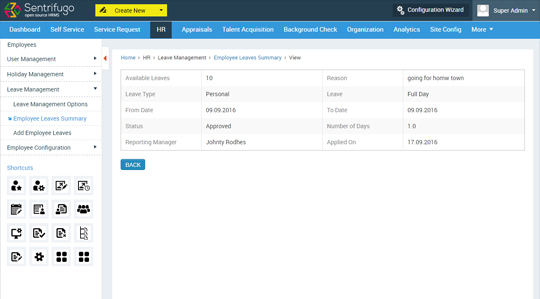 Determine weekends, work hours, transfer requests, and so much more. 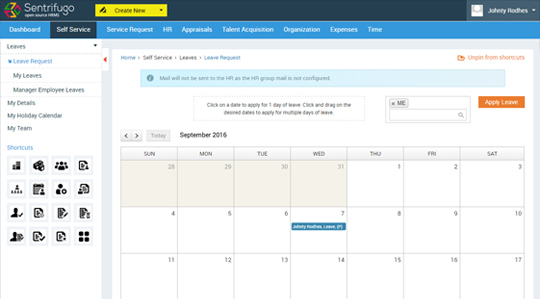 Create and assign a time-off calendar for holiday groups. 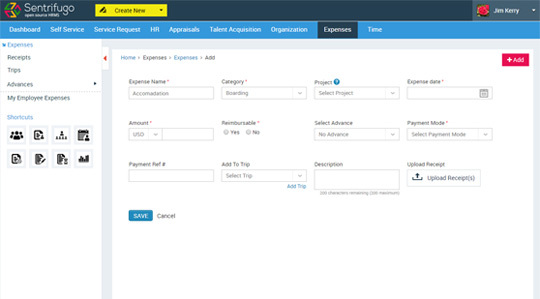 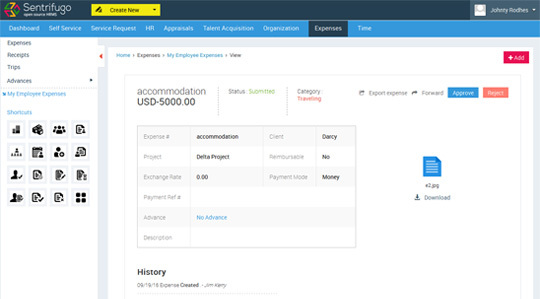 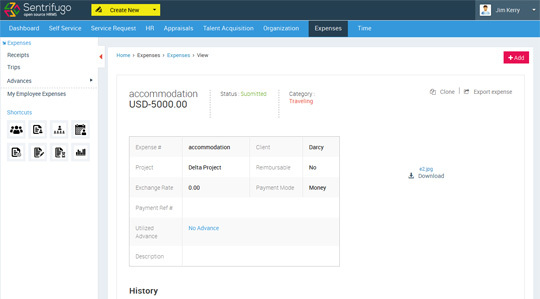 Enable Managers to get an overview of Employees' entire Trip Expenses at one go. 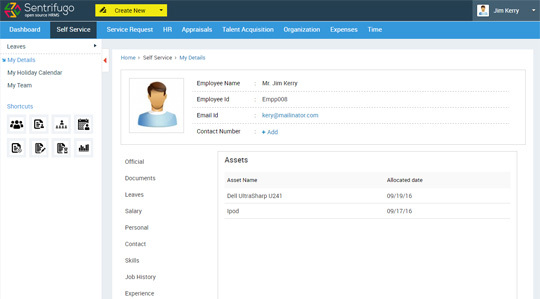 Employees can raise requests to replace or repair assets which have stopped working. 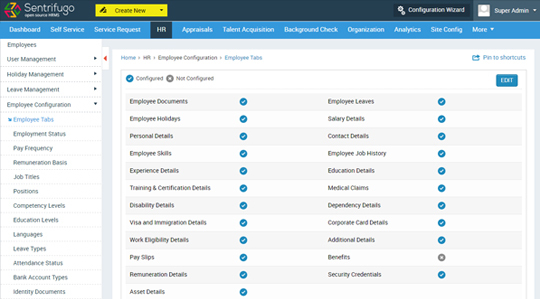 Save valuable time and view important information at a glance. 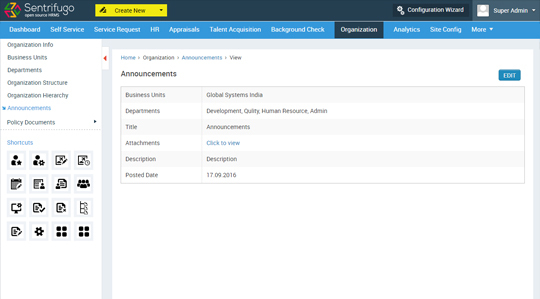 Never miss an announcement or birthday in your organization.